Australian Prime Minister Scott Morrison called out “radical, violent, extremist Islam that opposes our very way of life” the day after an Islamic State-inspired jihadist carried out a terror attack in Melbourne. He was immediately told to apologise by Muslim leaders. Somalian-born Hassan Khalif Shire Ali attacked bystanders with a knife on Friday, claiming the life of one person and injuring two others in an attack claimed by Islamic State. One witness claimed Ali was yelling “allahu akbar” and is believed to be known to counter-terrorism agencies, the Melbourne Age reports. Ali had arrived in Australia with his family in the 1980s as a refugee. SBS reports Mr. Morrison said while he supported religious freedom, religious extremism must be called out. “Radical, violent, extremist Islam that opposes our very way of life,” he said in a speech on Saturday. “Religious extremism takes many forms around the world and no religion is immune from it. The Australian National Imams Council responded immediately, calling the attack a national tragedy before adding it was “outraged” by the prime minister’s linking Islam to a radical and dangerous jihadi ideology. “It is extremely disappointing in such difficult times and during a national tragedy, when all Australians of all faiths and backgrounds should be called upon to unite and stand together against any form of extremism and violence, to see our nation’s leader politicising this incident and using it for political gain,” a statement released on Sunday said. Labor MP Anne Aly: It’s important we don’t use language that will divide the community, as opposed to singling out groups and religions. I don’t care how politically desperate you are. 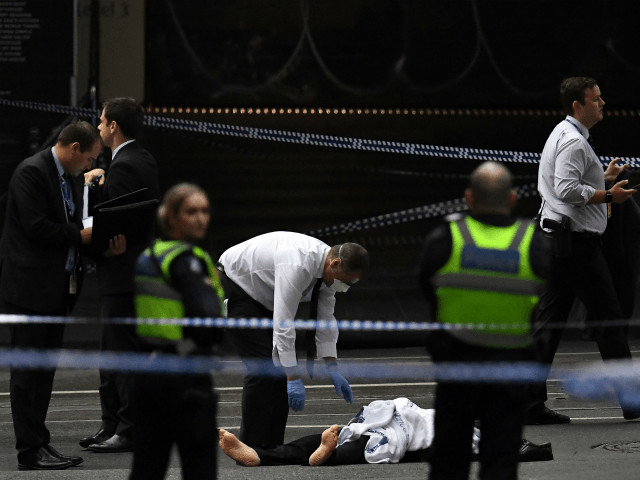 The Forum On Australia’s Islamic Relations (FAIR) added its voice of protest, saying the PM’s assertions, while condemning the attack, were incorrect. “The Muslim community will not be scapegoated and we will endeavour to keep Australia safe where we can, but the actions of a mentally ill person suffering from a psychotic episode, is not the fault of a whole religious community,” a FAIR spokesperson said. Tony Abbott, who oversaw a major strengthening of Australia’s counter-terrorism laws as prime minister, said Mr. Morrison was “quite right to say on the weekend that there is a problem within Islam”. In January, Australia announced a crackdown on violence committed by immigrants which will include immediate deportation for convicted offenders.